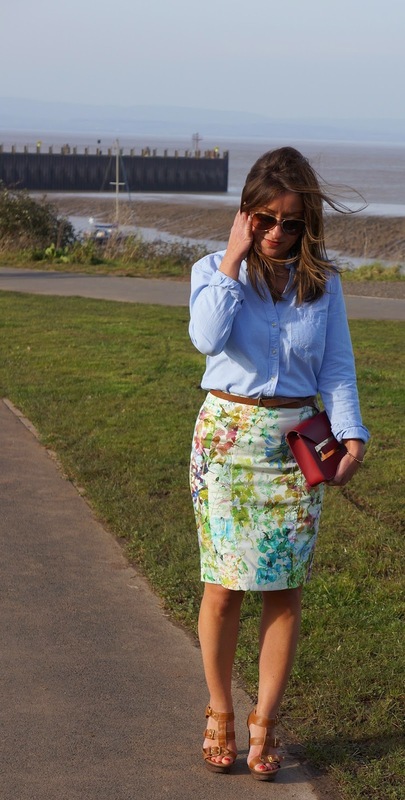 The chambray shirt is fast becoming the weekend uniform! Obvs, I'm made up that the Sophie Hulme Envelope bag goes with it too, there doesn't seem much this little beauty doesn't go with *total smugness*! 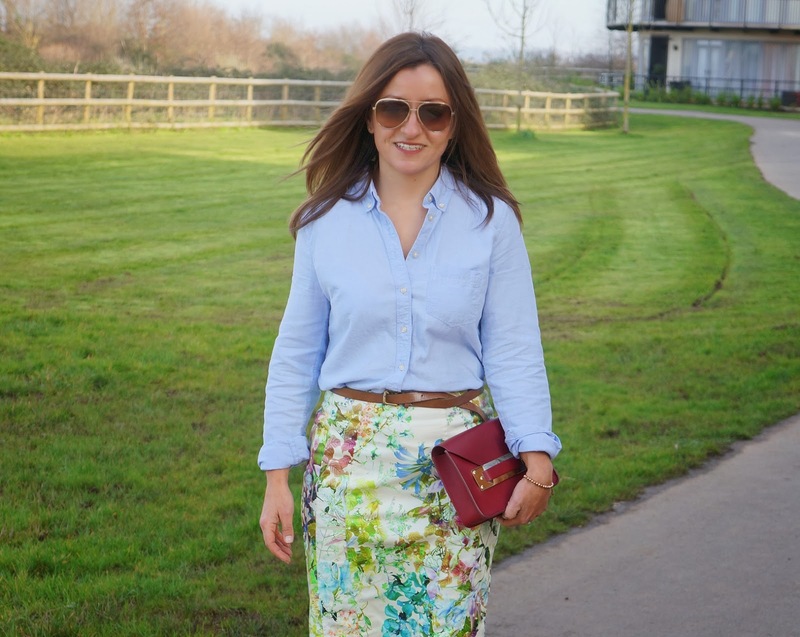 The floral thing is definitely taking over….The new Warehouse trousers last weekend (featured here), digging out the skirt this weekend and also, thanks to Proporta, a new Ted Baker phone case…. A FLORAL HAT TRICK! Proporta are offering Mission;Style readers 20% off purchases with the code 'MISSIONSTYLE20' - Buy the case here. PS. Their iPad cases are A.MAZING!!! Worn today for a lovely morning with my Mum, Sister and beautiful nephew around the shops.. I hope you're all having an amazing sunny Sunday!! Love the second look so much, casual and perfect! The Sophie Hulme bag is on my bday wish list!! In love with them! You look flawless as always, loving your blog. I am loving your blog! Style is fab! Those River Island flats are just gorgeous! !